The economies of the Greater Mekong are booming, but much development has come at the expense of the region’s forests – threatening unique biodiversity and essential ecosystem services. The forests are under increasing threats from agricultural expansion, unsustainable logging, infrastructure and hydroelectric projects. WWF’s Living Forests report predicts that by 2050 we’ll be using nearly three times as much wood globally as we are now. In a world where competition for land and water is intensifying, incomes are rising and populations are growing, we need to find ways to increase the supply of forest products without destroying or degrading the forests on which we all depend. The Greater Mekong region, once the world’s most densely forested area, has lost a third of its natural forest cover and will lose another third by 2030 unless action is taken immediately. Read the latest report on what WWF and communities are doing together to save these amazing forests. 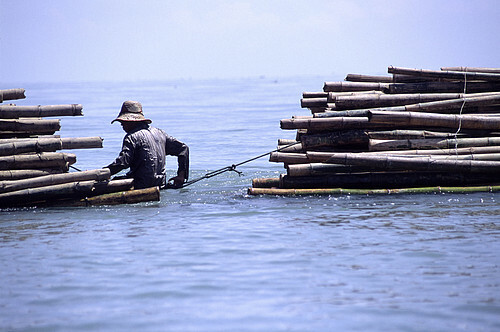 The Greater Mekong is one of the world’s main bamboo producing regions. Bamboos occupy over 3% of the world’s forests and provide incomes, subsistence or life goods for an estimated one billion people. They are a wonderful example of natural capital, provide a host of ecosystem services like carbon sequestration and soil stability and rehabilitating degraded land. It has been used locally for millennia and is still widely used to produce furniture, matting, handicrafts and cordage. 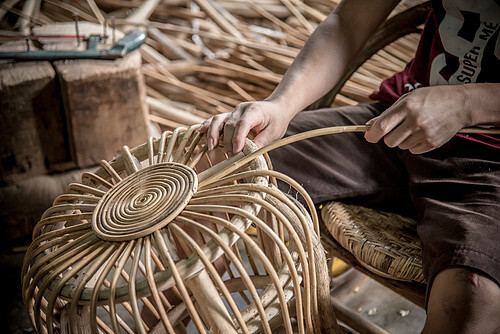 The rattan sector employs around 4 million people worldwide, a significant portion of whom are poor, forest dwelling families living in tropical forests of the Greater Mekong. The sector is estimated to generate global revenue of $10.5 billion annually. Current unsustainable rattan harvesting is a significant factor in forest degradation throughout the region, with raw rattan often illicitly or illegally traded across borders. 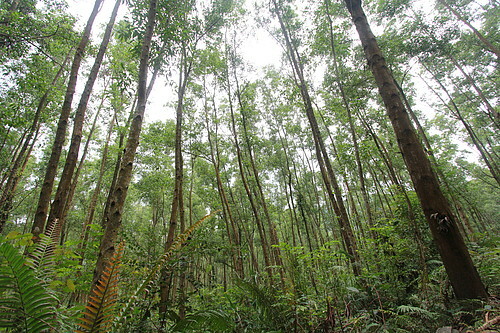 WWF's sustainable acacia project in the Greater Mekong focuses on responsible management in forests where acacia timber is harvested. 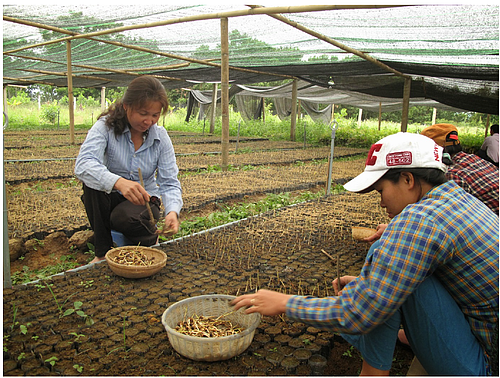 Our goal is to provide technical advisory support to smallholders and forest plantation companies, mainly in Vietnam, to increase the amount of FSC certified acacia timber and to improve the credible market chain of the product throughout the region. WWF's "Impact in the Forests" report highlights how supporting innovative small-scale green businesses could help reverse the current trend where business incentives for promoting deforestation remain greater than those for preventing it. WWF’s Sustainable Rattan Program is working to expand forest certification in the Greater Mekong through the Forest Stewardship Council (FSC). Forest certification creates a unique connection between local forest management practices and global purchasing decisions, transforming international forest trade and to helping conserve forest ecosystems around the world. Partnerships are key for acheiving sustainability in timber supply chains. Forest stewardship driven by commercial interest in sustaining wood supplies is especially important, and collaboration with companies like IKEA – which uses around 1 per cent of all commercial timber globally – plays a crucial role in WWF’s work to transform the entire timber market. Our sustainable rattan project was funded in part by IKEA, the European Union, and DEG. 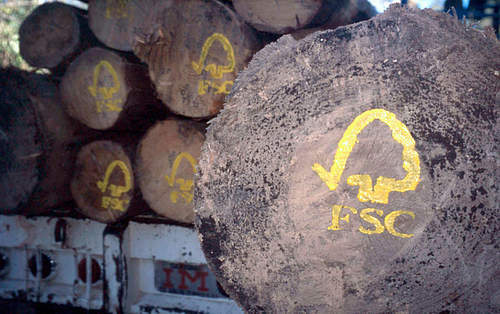 FSC logo painted on sustainably harvested logs.